If Stephanie Garcia’s face looks familiar, it might not be because of her athletic prowess. Sure, she earned laurels last year as the ACC champion in the steeplechase. But her sideline reporting for ESPNU at UVA’s football game against Maryland last fall gained her more exposure—and introduced her to television journalism, a new passion. As an editor for the Cavalier Daily, she’s getting a running start toward a career in journalism. But she’s also hitting full stride as an athlete in a sport she had never heard of until a few years ago. 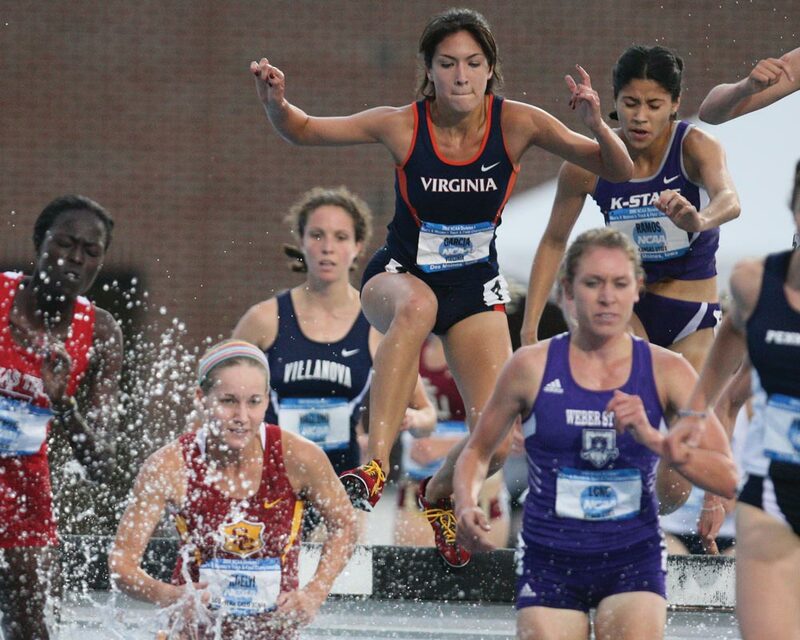 Her coach at Broad Run High School in Northern Virginia told her that Jason Dunn, then coach of UVA’s cross-country team, specialized in steeplechase. Now clearing jumps, splashing through water pits and dashing between obstacles have become second nature—and have led to many first-place finishes. In 2007, she was the national junior champion, and last year, in addition to winning the ACC, she was the Eastern College Athletic Conference steeplechase champion. Problems with shin splints hindered her during the NCAA meet, but this season she’s healthy. She credits new coach Jason Vigilante with building morale as well as introducing a new training regimen. Don’t be surprised if Garcia is a familiar face when the Olympic flag unfurls in London in 2012.